As they've been trending, fidget spinners have frequently made the news, and not in a good way. The devices have become hugely popular since they started trending in late January 2017. It's estimated that by May of the same year, fidget spinners accounted for 17 per cent of all online toy sales. And, in June 2017, the devices were still the best-selling toy on amazon.com. As toys, they're not just marketed to kids, either. Many are emblazoned with the names of musicians or bands, including David Bowie, Nirvana, Arcade Fire, and Radiohead. Kim Kardashian has added a gold-tone money-symbol fidget spinner to her merch line. And it's quite likely fidget spinners will be one of the freebies we'll be scoring at conferences and trade shows in the months to come. 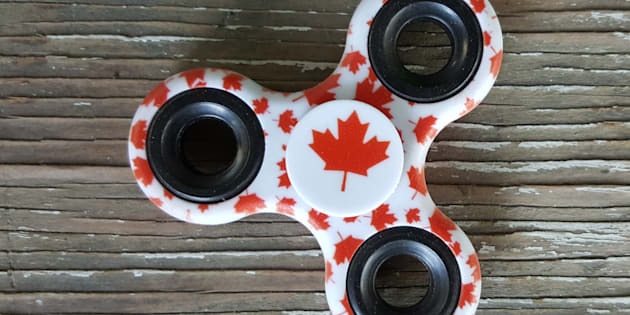 Promotional product companies like Dynamic Gift Canada will stamp logos on fidget spinners, taking over where squishy stress balls left off. As they've been trending, fidget spinners have frequently made the news, and not in a good way. There have been many stories, for instance, about how fidget spinners have been banned from entire schools in both the United States and the U.K. due to distractibility issues. Two American children had to have surgery after swallowing broken fidget spinner pieces. Another had to go to the ER to have a piece of a spinner removed after it got stuck on his finger. Additionally, a vlog from a well-known lead-poisoning advocate warns that the devices contain high amounts of lead. These safety concerns led Germany to confiscate 35 tons of fidget spinners, which will be destroyed. They're widely perceived as a toy, and they've generated a large amount of negative press, and yet: fidget spinners are almost always marketed as tools to assist with disability-related issues. Scrolling through listings for the devices on Amazon, it's notable that almost every one includes references to disabilities, including Autism Spectrum Disorder (ASD), ADHD, and anxiety. Sellers promote other health-and-wellness benefits of the devices as well, such as providing general stress relief and helping to stem bad habits like smoking and nail-biting. A girl plays with a fidget spinner toy in London, Britain, May 17, 2017. How much of this is marketing and how much is rooted in reality? Honestly, it's hard to say. The studies needed to determine whether fidget spinners are indeed tools to successfully manage disabilities would take years to complete. For now, we can examine the benefits of fidgeting and anecdotal evidence to help us decide. Fidgeting includes all kinds of mindless repetitive behaviours like tapping a pencil, playing with our hair, bopping along in our seats to music, chewing gum, and doodling. repetitive movements of this type increase levels of neurotransmitters which in turn improves our focus and concentration. Yep, it's scientifically proven that fidgeting is a good thing. That said, some argue that the movements to activate a fidget spinner aren't marked enough to be classified as fidgeting, and that the real draw of the devices is in watching the patterns the rotating prongs make. This is a big reason why fidget spinners have been banned from classrooms: they catch your attention as they spin, redirecting focus from the task at hand to the spinning patterns (and to the whirring noise some of them make). However, the fact that they redirect focus doesn't indict fidget spinners either. As outlined in this article at digitaltrends.com, allowing children to play with toys during regulated breaks or downtime can help with classroom performance, giving children stimulation and mental breaks during tedious, boring tasks. I can relate. At certain times of the year, my job is incredibly chaotic. Despite the pressure to multitask -- and multitask quickly to meet the many daily deadlines on my to-do list -- I often take short social media breaks. This helps me calm down, clear my head from all the work-related info streaming through, and refocus. So, how does all this apply specifically to fidget spinners and people who have ASD, ADHD, or anxiety? Here's where we'll turn to anecdotal evidence. A special education teacher in Alabama reports that she bought a fidget spinner for one of her students who has "severe ADHD and behaviour problems." 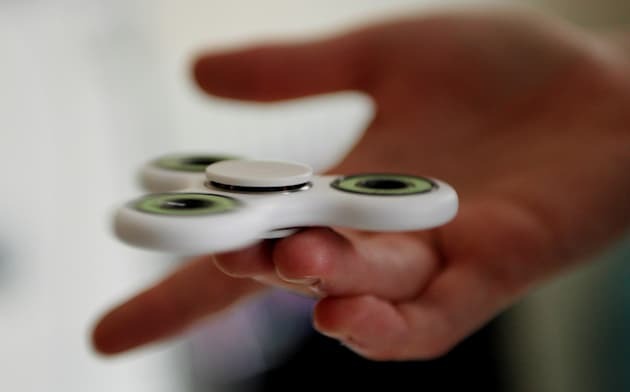 Whether it was because of the repetitive movements of activating the spinner or because it gave the student a chance to burn off energy and take mental breaks, the teacher reports that while using the spinner, the student was quiet, attentive, and participatory. Likewise, a parent interviewed for this piece states that a fidget spinner helped her son, who has Tourette's Syndrome, channel his energy in such a way that he was better able to manage his vocal and physical tics. However, the same parent cautions that fidget spinners won't work for everyone; they actually exacerbated her other son's issues with ASD. Here's the thing: I have a hearing disability. I don't wear hearing aids because I don't find them helpful. I also don't use cochlear implants or sign language. I DO use CART (real-time captioning) and the Ava app. Some of the tools available for people with hearing disabilities work for me; others don't. It's not realistic to expect that every tool will work for every person. Is it really all that surprising then that fidget spinners won't work for everyone? At their price point (some are available on amazon.com for $0.01 plus shipping), fidget spinners are certainly worth a try. If you're buying one for a child, have him use the spinner at home for first, to see if it produces any positive behavioural modifications. If it does, talk to your child's teacher and/or school before letting your child take the device to school.